Shopping for a new Nissan 370Z? Base 370Z sports cars get a rearview-mirror rearview camera, a sign of the age of the car's safety systems and technology. It's a brisk blast to drive, but outdated in technology. The base 370Z is just about as barebones as it gets, with electronics and interior that were barely up to date in 2009, when the car was first released. Sport models add the right performance bits and don’t complicate the price tag too much. The 2019 Nissan 370Z hasn’t changed much in its 11 model years on the road. This year is no different. It’s returned with new paint colors and not much else, which leaves this sports coupe firmly stuck in its 2009 release year. To say that the 370Z has aged would be more than an understatement. The model was released ten years ago, and while it has seen a few updates, it remains mostly the same inside and out as it was then. The Z is offered in three trims: base, Sport, and Sport Touring. An amped-up Nismo version is available as a stand-alone performance model. All versions are powered by the same 3.7-liter V-6 that produces 332 horsepower (bumped to 350 hp in Nismo cars). That engine can be paired to either a 6-speed manual or 7-speed automatic. The 370Z in Sport trim with a manual transmission is our pick of the group. Why bother with an automatic gearbox in a two-seater sports coupe? Nissan offers the 370Z as a no-apologies, straightforward experience, and the options list follows suit. There are no advanced safety features offered in the 370Z and base models could easily be mistaken for something made many years ago. The Nissan 370Z’s styling hasn’t changed much in this generation, and its uncomplicated looks help it stay relevant. When it comes to styling Nissan hasn’t messed with what works. The 2019 370Z offers a few new colors–the Heritage Edition is now available in black and white instead of yellow. Beyond that, the car is the same we reviewed last year. Last year the Z adopted new headlights, a lower rear fascia and new taillights, and new wheels. Those mild styling updates haven’t changed a bit, and the 370Z still has the handsome, stubby, teardrop shape that’s graced Z cars from their early-’70s debut. We prefer the coupe above the convertible or Nismo models because it doesn’t try to complicate the sports coupe formula with too much body work or aero scoops and wings. The Z’s cockpit is still a letdown. Gauges and swaths of silver plastic frame the driver’s zone, but it’s curiously (or not so curiously) mid-1990s in its look. Base cars wear Sentra-level seating surfaces and hard plastics throughout. 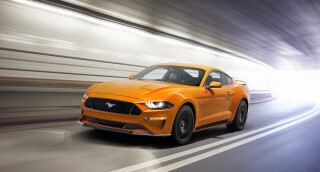 This may not bother some buyers who are looking for a stripped-down sports car, but others will have to spring for a Sport Touring model for leather seating and modern tech are important. 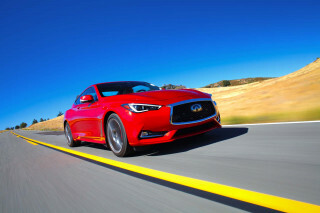 The Z can’t tread too closely on the premium Infiniti Q60 coupe, after all. For the price, the 2019 370Z is a solid choice for a driver-first sports car. The 2019 Nissan 370Z is still a fine sports-car choice, despite some of the fiercest competition it has seen yet. It’s fun to drive, quick off the line, and its 6-speed manual with rev-matching is one of the best we’ve tested. The Z keeps the 3.7-liter V-6 across the board, with a few differences in power output depending on model. 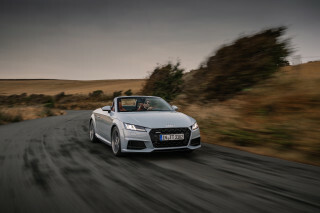 Coupes and convertibles see 332 horsepower from the engine, which is delivered with satisfying immediacy since there is no turbo to spool up. The power is delivered through either a 6-speed manual or 7-speed automatic transmission. The rev-matching system found in most trims (not base) easily makes the 6-speed manual our pick for fun in the Z, with its short throws and perky demeanor. Sport trims and above add a limited-slip differential that pushes the fun factor even further. Nismo models benefit from 18 more horsepower, up to 350, and keep the limited-slip differential in back. Nismo cars feature specially-tuned suspension that tightens up the experience and makes the Z a perfect weekend-warrior track car. Coupes weigh in at 3,400 pounds with convertibles coming in roughly 100 pounds more to accommodate the folding roof. Driving the 370Z can feel distant at times, with steering response that isn’t quite as sharp as other models we’ve tested. The ride does not feel distant, with bumps and imperfections in the road making themselves immediately known inside the cabin. The 18-inch tires on base models offer more sidewall to soak up some of that jostle, but the 19-inchers on other models tend to make things worse overall. Grip is excellent, and the Z feels sharp in corners thanks to a short wheelbase. Beyond the Base models, 370Z coupes and convertibles include active noise cancellation systems that balance out some of the engine’s harsher tones with more pleasant notes. The 370Z forces owners to make some sacrifices that may make it off-limits for some, but the sporty experience makes it worth a look. 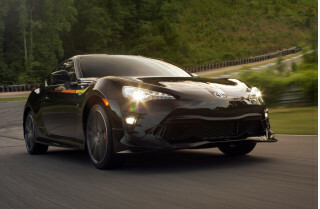 The 2019 370Z offers its performance at the expense of nearly everything else. The most glaring payoff for the Z is its lack of a back seat and almost nonexistent cargo room. Even with its cramped dimensions, the 370Z offers seating that is wide and well-padded, suitable for a variety of body types. 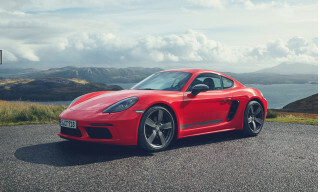 The large wheels and sport suspension do their best to work against the comfortable seats, though, so most drivers will find themselves seeking smooth patches of pavement after a while. Convertible models have the advantage of a soft top that opens and closes quickly. The road noise is particularly harsh, even taking its folding top into consideration. Base models don’t have the help of active noise cancellation, which leaves quite a bit of road and engine racket to be serenade passengers. Many buyers are looking for some bark to go with their bite, but the older engine can drone at times and the exhaust note doesn’t always reach into sporty territory. The 370Z hasn’t received an official safety score. There won’t be many surprises if they ever do. The 370Z lacks most advanced safety features that other vehicles in its class and price range offer, which is mostly thanks to the relatively long in the tooth nature of Nissan’s sports coupe. Blind-spot monitors aren’t available on any models. A rearview camera finally is standard, but no 370Z offers any features such as adaptive cruise control. The 370Z offers several trims, but not much else in the way of options. You can have your 370Z in several flavors, but without many variations on each. Base cars don’t come with some key new features. Coupes are available in base, Sport, and Sport Touring trims. Convertible models come in the same trims. Nismo models don’t care what trim you want. All 2019 370Z cars get Bluetooth, keyless ignition, a six-speaker stereo, and 18-inch wheels. They don’t have forward-collision warnings or Apple CarPlay and Android Auto. Touring models add leather seating with heating and cooling, Bose audio, a 7-inch touchscreen, rearview camera, and noise cancellation. Nissan’s infotainment system isn’t particularly easy to use, and it doesn’t have any alternative, but in sports cars we’re willing to forgive all that. Sport Touring-the version we'd own-gets 19-inch wheels, bigger brakes, a limited-slip differential, and better tires. Nismo models are similar to Sport in their configuration. The puzzlingly basic Heritage Edition makes its way back to the 370Z in 2019, with white and black color options available. Stand-alone options choices are sparse on the Z, with some models only getting a choice of colors and anything the dealer was kind enough to tack on. Nissan’s three-year, 36,000-mile warranty is average. 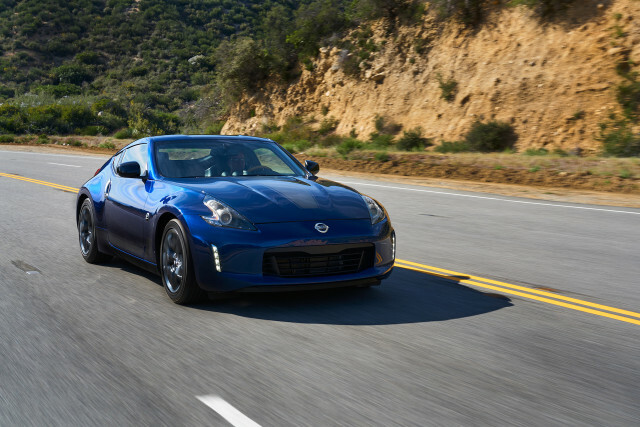 The Nissan 370Z won’t top anyone’s list for fuel economy. Most models with automatic transmissions achieve 22 mpg combined, which is acceptable – but only just. Those numbers break out to 19 mpg city, 26 highway, and 22 combined. Convertibles shave bit off of those figures, coming in at 18/25/21 mpg for automatics and 17/24/20 mpg for manuals. Manual-transmission coupes clock in at 18/26/21 mpg.